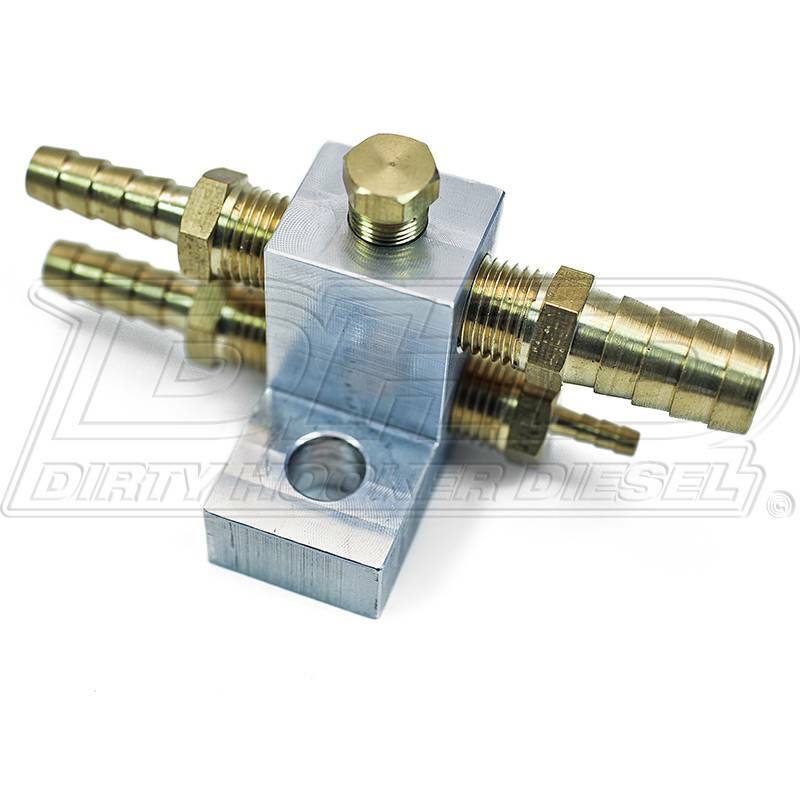 The DHD 155 Super High Flow Fuel Block Upgrade kit eliminates the restriction of the factory fuel test-port/fuel block with our high flow billet aluminum piece. This kit is identical to our standard kit except the low pressure fuel supply hose is a larger diameter. 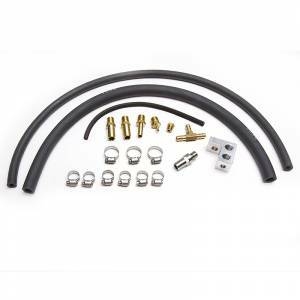 This kit utilizes a fuel supply hose and also comes with our DHD stainless steel high flow CP3 fitting. Recommended on all high flow intake manifold upgrades or when running a modified stroker CP3 pump.